Josh is a 2018 graduate of Delisle Composite High School, and rolled up to the event in the sweet ’66 Plymouth Satellite that his dad restored. Those skills he learned from his dad will come in handy as he works towards becoming an agricultural equipment technician. I love working with grads to choose a location that has personal meaning. Your grad photos should show who you are, and not just what your outfit looked like! 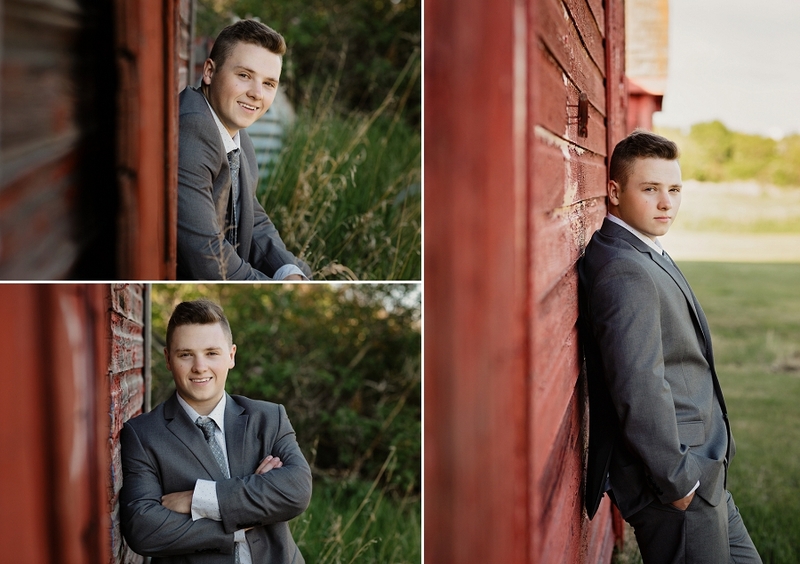 In Josh’s case, that place was right there at home, so we hung out on the family farm for his Delisle grad photos. 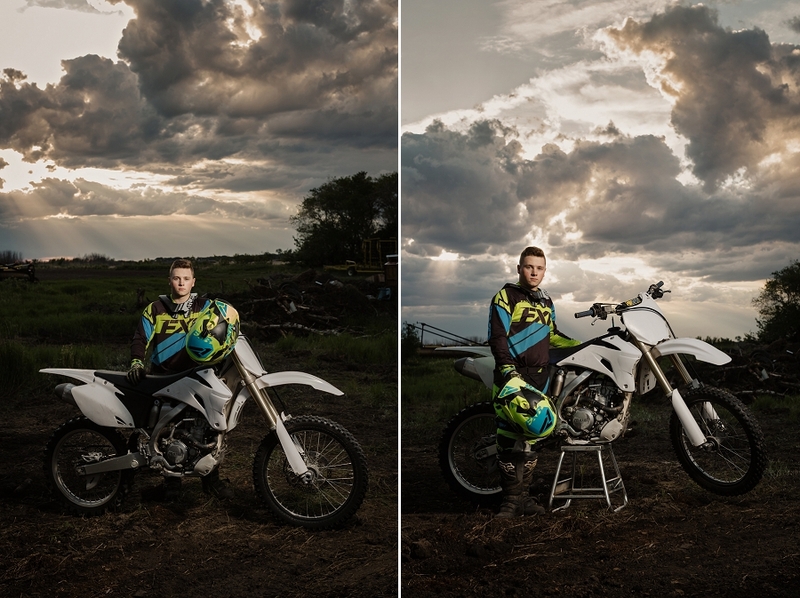 Josh is an avid snowmobiler and dirt biker – he even has a track right in his yard. After we finished the formal images, Josh changed out of his suit and we went out back to play in the dirt. Congrats on your graduation Josh! Delisle grad photos by Copperblue Photography and Design. YXE graduation photographer serving the Saskatoon, Prince Albert, Rosetown, Outlook and Humboldt areas. Still looking for a Saskatoon grad photographer? Click here for session information! Wow, i love every shot in this series! Thanks so much Rose! I really loved working with Josh and the images we created, glad you do too! I LOVE the picture in front of the barn door with the white stripes! And the motorcycle shots are awesome! Thanks so much Mandi! 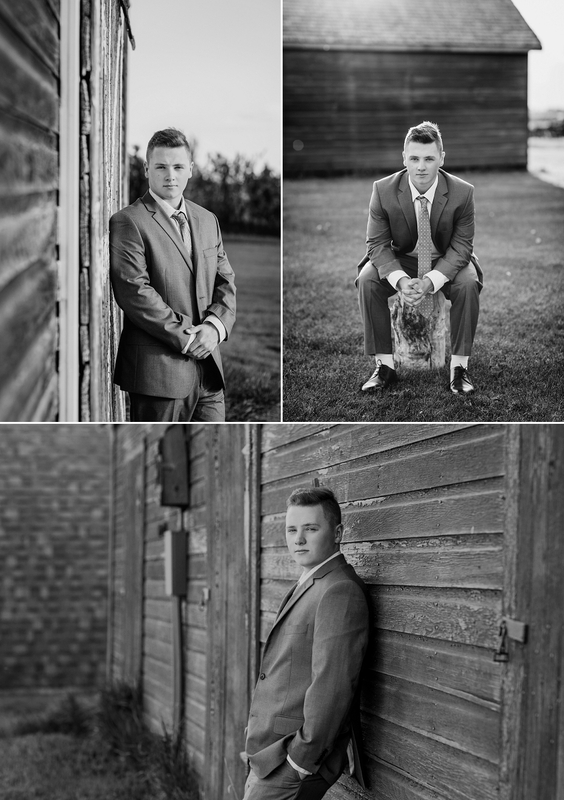 I loved shooting Josh’s Delisle grad photos and I always love when I can incorporate someone’s interests into their photos! I seriously love these shots Tracey! The lighting and I hope they print the one in front of the barn door super big! Thanks so much Sheri! Josh’s family farm was such a fun place to shoot and we had such great light that evening! I hope so too, it would make a great canvas! 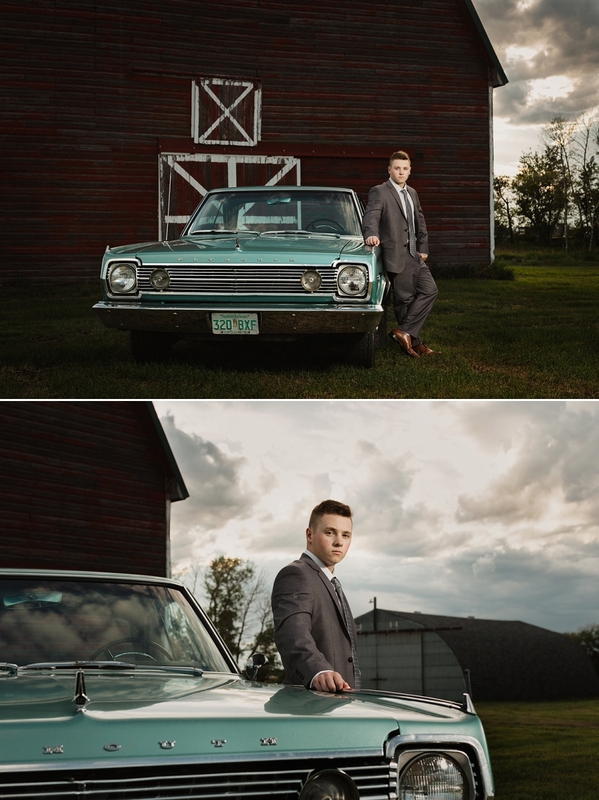 These are awesome grad photos and that car is so cool, his dad is very talented! Thanks Michelle! I loved that car so much, what great skills to have hey! Thanks Diane! Those dirt bike shots are some of my favourite ever!